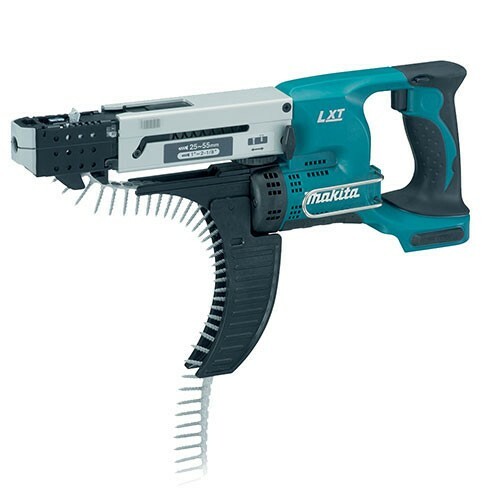 Collated screw guns offer more speed and accuracy for those working with drywall than ever before. Here at CNS Powertools, we offer a range of cordless collated screwdrivers, designed to make your life easier. Using a cordless tool allows you so much more freedom, compared with traditional, corded screw drivers. You are able to move easily between work areas, with the hassle of dealing with cords or the risk of tripping over them. Our screwdrivers boast charging times as short as 20 minutes, so nothing should get in the way of you getting the job done. 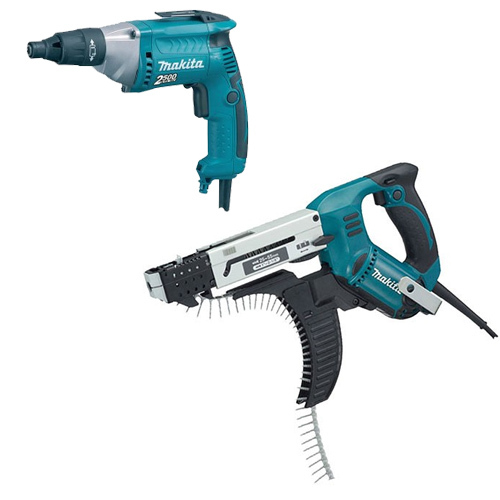 Our range features collated screwdrivers from Makita, a widely recognised leader in cordless power tool technology. Makita combine over 100 years’ experience in the industry with a passion for innovation and technology, resulting in products which really help the individual tradesman. Please browse our range for further information on specific products which are all available to buy online. If you’d like to speak to our team about anything, we are always more than happy to help.